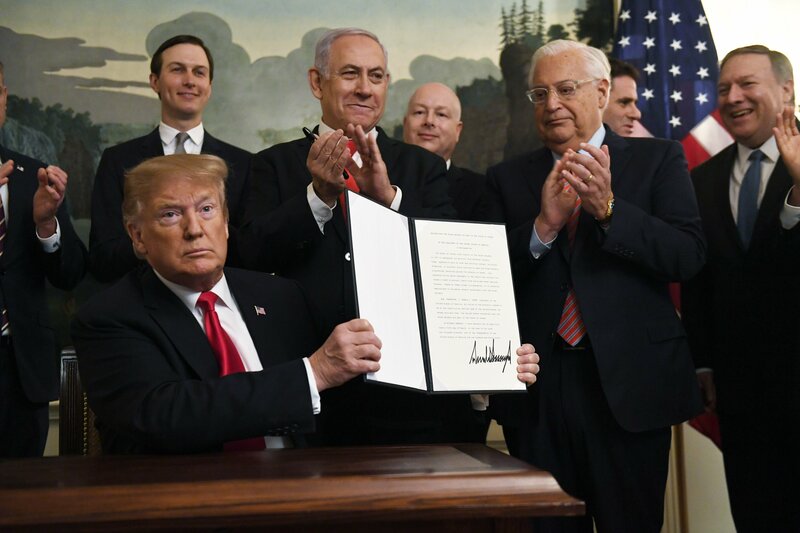 WASHINGTON — President Donald Trump signed a proclamation on Monday recognizing Israel’s sovereignty over the Golan Heights, reversing more than a half-century of U.S. policy in the Middle East. Syria denounced the U.S. move as “blatant aggression” on its sovereignty and territorial integrity. The foreign ministry said Trump’s step represented the “highest level of contempt for international legitimacy” and showed that Washington was “the main enemy” of Arabs. Syrian Foreign Minister Walid al-Moallem told Syrian TV that the Golan is a Syrian-occupied territory and that Trump decision will only isolate America.